Developed in conjunction with the renowned Tante Marie Culinary Academy. The advanced CTH Level 5 Advanced Diploma in Culinary and Hospitality Management course offers students the opportunity to put their knowledge into practice. The programme is typically run as a practical “apprenticeship” in a working restaurant kitchen and front of house environment. On completion, students will be ready to run a hospitality business. They will understand the legal obligations, accounting procedures, health and safety (including food safety) and how a “service kitchen” works. They will be trained in etiquette – how to welcome guests and ensure they have a fabulous experience. Students will gain exposure to all aspects, including serving the customers, preparing the food, running the bar and producing year-end accounts. This Advanced Diploma carries (160 credits) and is assessed by a combination of examination, assignment, and work-based assessment. 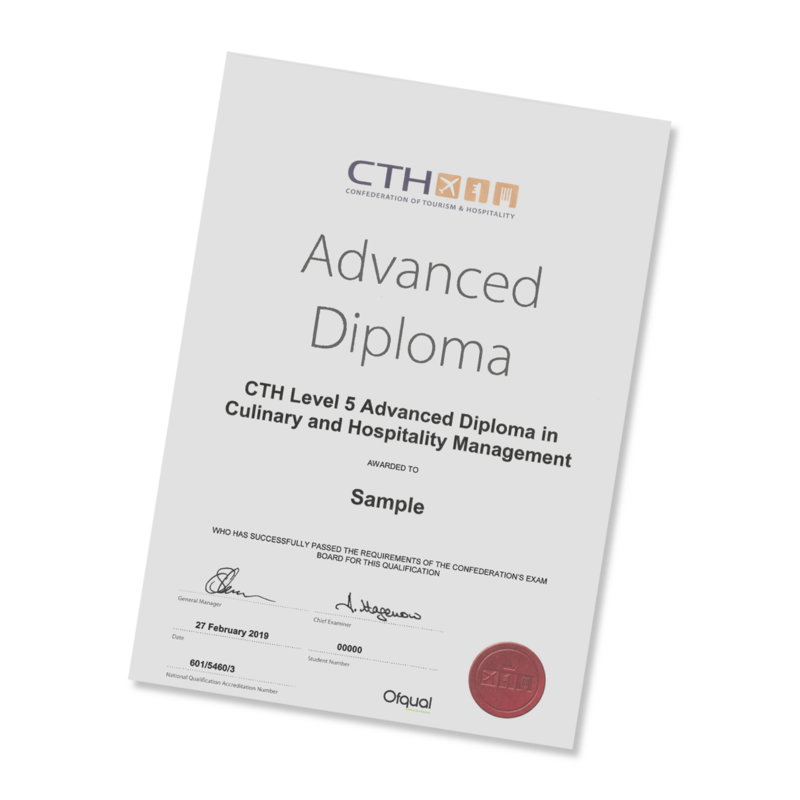 Candidates should first have successfully completed the CTH Level 4 Diploma in Culinary arts or an equivalent qualification. Click here for a link to the qualification specification.